Comment: I would like to get an estimate for having my weekend home's radiators repaired. There is water spewing out of 2 maybe 3 of them. There was a lot of water filling up the basement. Comment: I currently have a 240,000 btu boiler that is leaking. It heats a 3 family house. I would like to get estimates for replacement and also for splitting the system into 3 to heat each floor seperately, poosibly converting it into hot water baseboard. Belleville Heating & Furnace Contractors are rated 4.73 out of 5 based on 4,063 reviews of 62 pros. 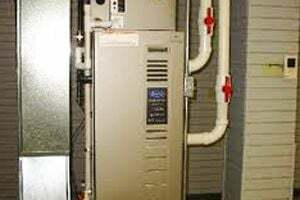 Not Looking for Heating & Furnace Systems Contractors in Belleville, NJ?